Live for today! 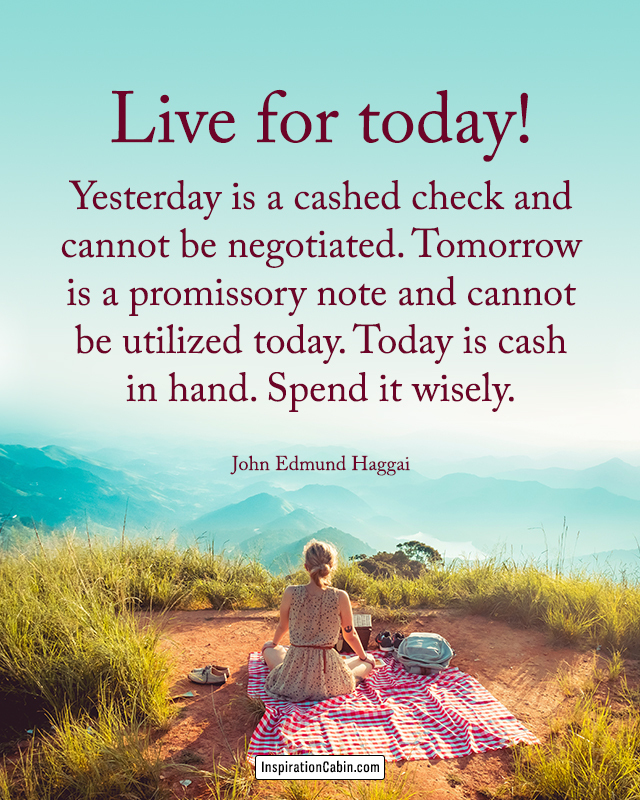 Yesterday is a cashed check and cannot be negotiated. Tomorrow is a promissory note and cannot be utilized today. Today is cash in hand. Spend it wisely.